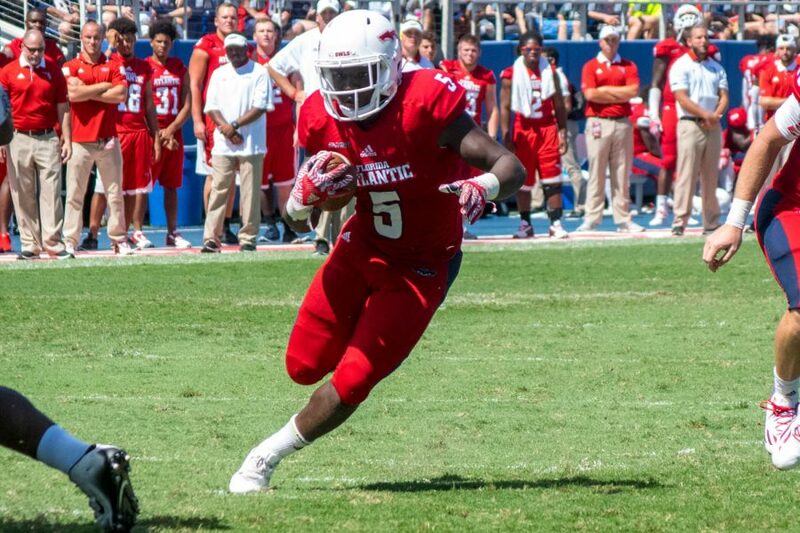 Where: Joan C. Edwards Stadium, Huntington, W.Va.
FAU has struggled on defense for much of the season but has improved dramatically during conference play as they are allowing 28 points per game while generating four interceptions. Where the Owls have shined is on offense especially in the running game with the top rushing attack in C-USA with 241.7 yards per game. 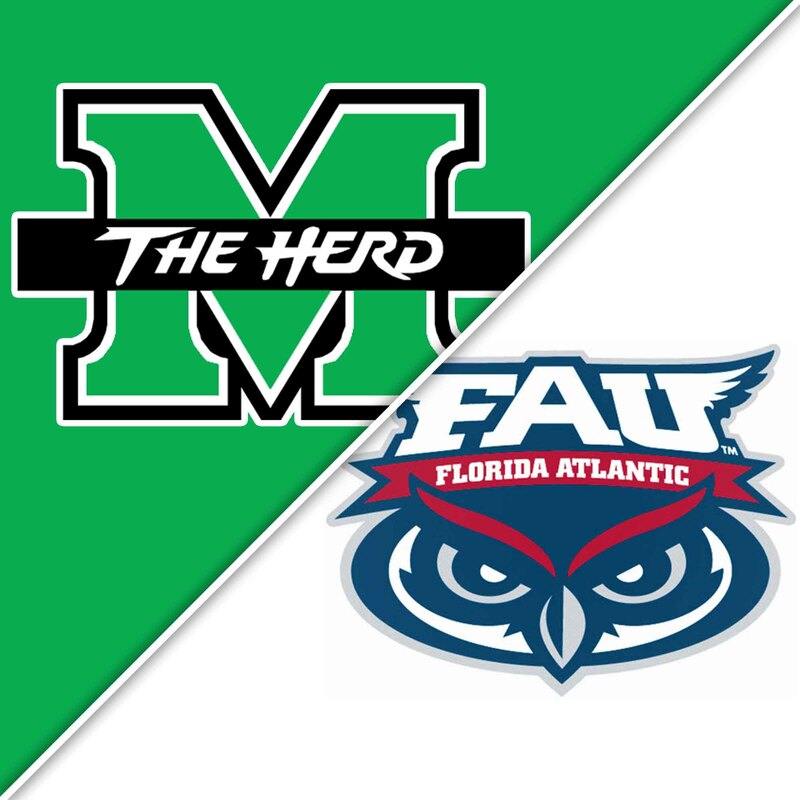 FAU lost both games played at Marshall in the five-game series history, and the Thundering Herd gave the Owls their toughest Conference USA game last season – a 30-25 Owls victory in Boca Raton. Key Player: QB Chris Robison has thrown one touchdown and four interceptions in his road games so far and had completed just 57 percent of his passes. He looked rattled on the road against UCF and Oklahoma so how he performs in a rather hostile enviroment will be key as the Thundering Herd defense likely will be keying against the Owls strong running. Fantasy Bonus Baby: RB Devin Singletary leads C-USA with 745 yards and 16 touchdowns. And even a bonus bonus pick would be backup RB Kerrith Whyte Jr. has also been effective this season, averaging 6.9 yards per carry. Look for the duo to get their share of yards despite the Marshall defense keying against it. The Marshall defense is allowing just 2.8 yards per carry in conference play which is second best in C-USA behind UAB. With the Owls having a strong running game, the Thundering Herd will likely put even more emphasis on stopping the run game. The Marshall offense is very talented but will need to show more consistent quarterback play but may have a chance to do against a suspect FAU defense. Playing at home, Marshall has a distinct home field advantage. In fact, the Thundering Herd have won just over 80 percent of games played in the friendly confines in its FBS history. Key Players: QB Isaiah Green and/or Alex Thomson have both played significant time under center but both have been very inconsistent. How one or both play in this game will be the key for Marshall’s overall success. Fantasy Bonus Baby: WR Tyre Brady is likely a NFL caliber receiver. He is fourth in the league in receiving with 88.3 yards per game. He has scored six times in six games so look for that string of scoring to continue in this game.